This is a fake software update scam that is pushed on people by scammers that buy ads on Facebook. I’d say this ad is aimed at men. So, as a matter of…research…we clicked on the add. POPNOMNOM.com is pure scam bait. 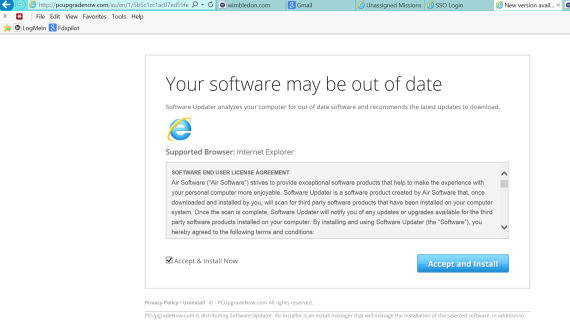 IF you click “Accept and Install” you’ll have installed the scam software. Yet, before you have a chance to click it you’ll see this window. So DO NOT click start download. Do click the red X. 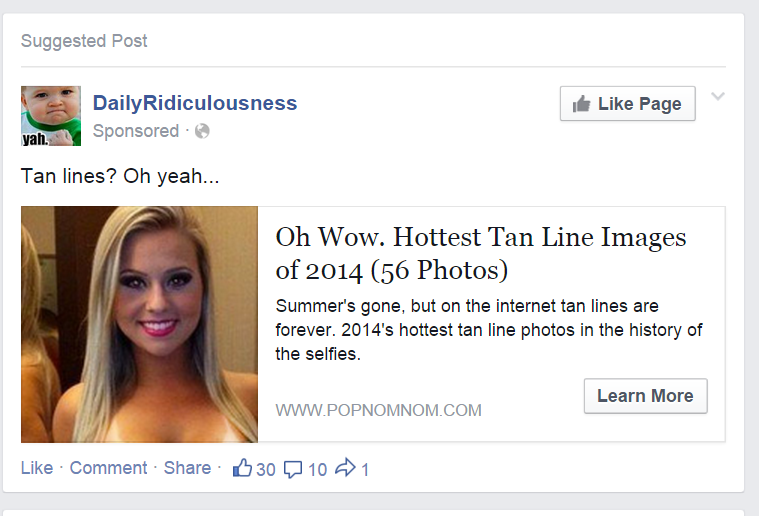 It is a shame Facebook doesn’t ban advertisers that do this.